In this week’s 123RF World Travel Guide series, set foot in Rihanna’s magical hometown and discover one of the best preserved colonial streets in Bolivia’s colorful Calle Jean. Glorious white sands and crystal clear waters in Bottom Bay, Barbados. 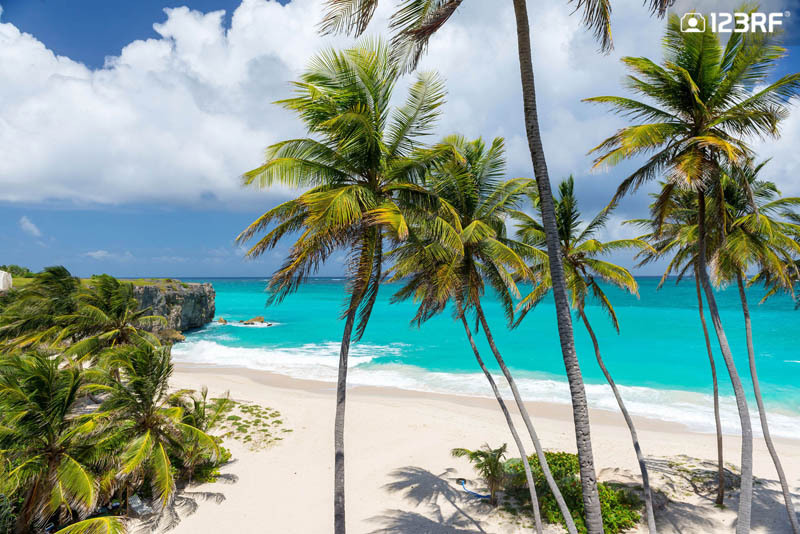 Famed for its stunning powder-like sand and alluring waters, Barbados is an island which has it all. Unlike many other Caribbean islands, the 123RF World Travel Guide would never resort to the word ‘laid back’ to describe the home of Rihanna. Its vibrant nightlife is best seen in Holetown and St Lawrence Gap. Here, everything from dizzying disco’s and rousing reggae bars promises an eventful night out. If you are looking for a dose of adventure, head out to Crane Beach in the island’s east coast. The impressive waves make this a popular spot among surfers. Alternatively, travel to the west coast for calmer waters and swanky family themed resorts. Meanwhile, for a dose of tranquility and amazing snorkeling sights, head down south. The cheaper accommodation options also ensures Barbados offers a treat for every wallet. Finally, no trip to Barbados is complete without a visit to St Nicholas Abbey. One of the oldest plantation houses in the Caribbean, this mansion enables you to take a step back into the island’s past while sipping on some of the finest rum. Straight outta Disney, the fairytale-like Mir Castle. 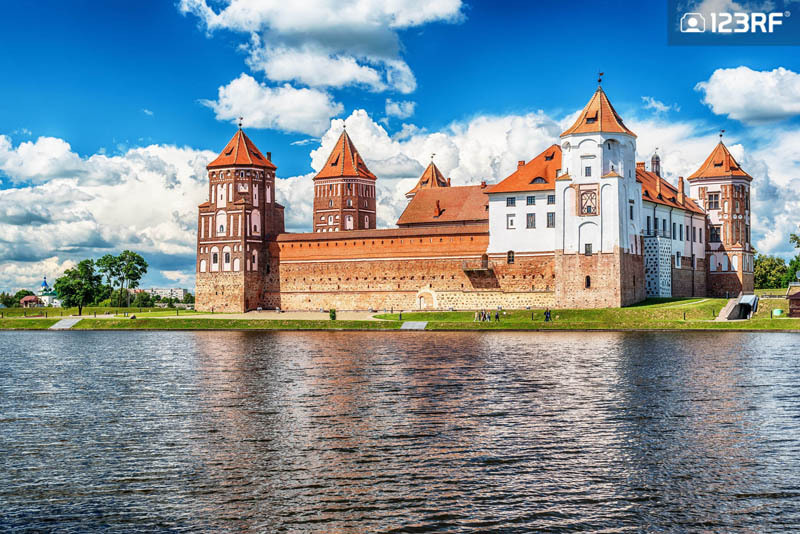 Its little visited country has often been overlooked for more favorable travel destinations including Poland and Russia. However, the 123RF World Travel Guide believes this nation is ready to see its tourism industry booming. Minsk is the heartbeat of Belarus and it is bound to surprise you. This modern city is home to trendy cafes, exciting art galleries and compelling museums. If you are looking for a quick getaway, a stay in this thriving city is highly recommendable. A short drive away takes you to the grand Mir Castle. This splendid work of art feels like a set for a fascinating Disney production. The surrounding lake and beautiful interiors makes this a must-visit. Next up, the Belovezhskaya Pushcha National Park is a UNESCO World Heritage Site and an essential for nature lovers. The mammoth park is home to the European bison (zubr), the largest mammal in the continent, along with some of the oldest forests in Europe. For the ultimate experience, rent a bike and make your way across stunning landscapes. 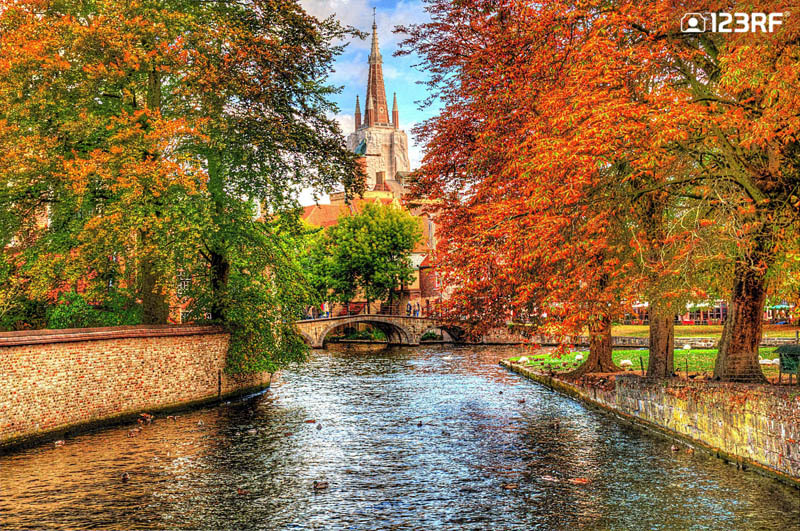 Brilliant autumn views of Bruges. The 123RF World Travel Guide accepts it would be difficult to find another nation which seamlessly blends the old with the new. In Belgium, medieval castles site next to swanky galleries and the 700 year old Giants of the Ath festival is in stark contrast to the exhilarating Tomorrowland. Bruges is one the most dreamy cities you would ever lay eyes on. Picturesque cobbled streets, historic churches and gorgeous squares make for a picture perfect postcard. If that does not float your boat, then the chance to soak yourself in some of the best Belgian beer during the annual beer festival is simply irresistible. Next, Brussels is home to the splendid paintings in the Musées Royaux des Beaux-Arts and the marvelous Grand Place. However, all that traveling must make your tummy growl. Fortunately, if there is one country that does comfort food the best, it would be Belgium. So remember to indulge in waffles and chocolates, only to wash it down with another pint of beer. 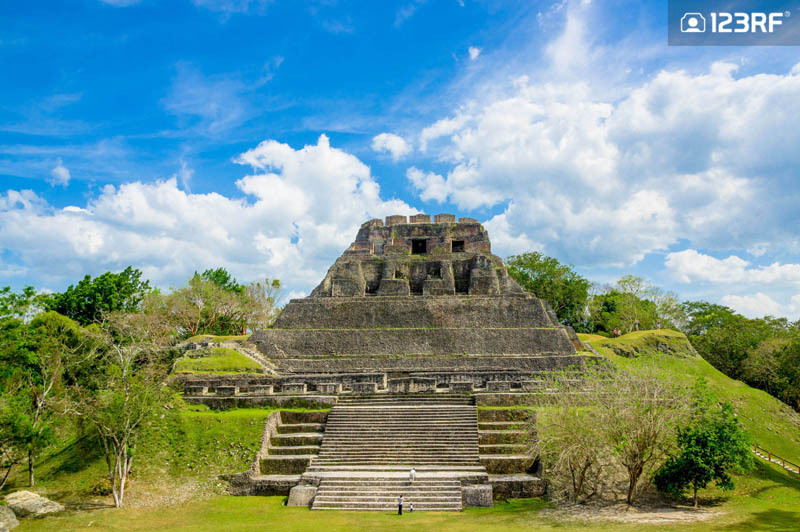 The ancient Xunantunich Mayan ruins., in the heart of Belize. This gorgeous laid back island is home to a series of attractions that promises a huge bang for your buck. The favorable climate, apart from June to November, makes this the perfect getaway to immerse yourself into ancient Mayan culture and gorgeous beaches, with the Caye Caulker island taking top spot. In addition, the 123RF World Travel Guide highly recommends the Actun Tunichil Muknal Cave for those looking to unleash their inner Indiana Jones. The cave is guaranteed to leave you in awe as you marvel at spectacular stalagmites and stalactites, while making your way across historic Mayan passageways. Continue to do Harrison Ford proud as you embark on horseback rides across the lush land and witness the rich wildlife. Finally, cool off with a swim in one of the world’s most mysterious sights, the Great Blue Hole. What looks like a portal to a magical universe, is a popular dive site. The rich marine life which includes the Caribbean reef shark is simply not to be missed. Once you’re done taking a dip, just be sure to pinch yourself, because this experience truly is magical. 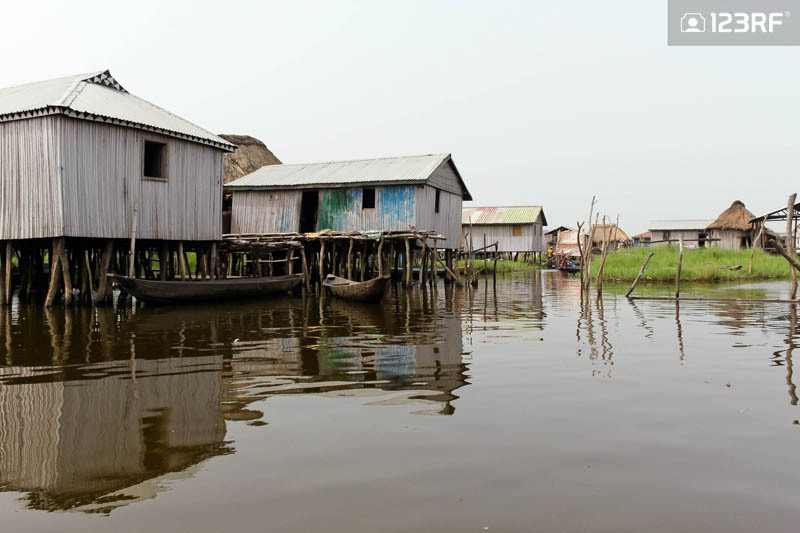 The floating village of Ganvie offers a fascinating insight into the life in Benin. Image courtesy of kent0344@123RF. Often considered the perfect introduction to Africa, this minuscule land is famed for its exotic wildlife, idyllic beaches and the birthplace of the intriguing voodoo practice. A trip down south enables you to get in touch with its major cities. The relaxing capital of Porto Novo is a great place to begin your stay. Here, take a step back into the nation’s past with colonial architecture and ethnography museum. The country’s thriving art scene is also highly evident here with Afro-Brazilian artworks dotted across the city. In addition, the 123RF World Travel Guide highly recommends heading out to Ganvie to experience the life of the Tofinu community. This bamboo village is also commonly known as the African Venice. Next, Benin’s impressive accessibility will lead you to picturesque coastal roads and eventually to Pendjari National Park. Home to a large population of the West African Lion, this is the best place to admire these magnificent beasts. 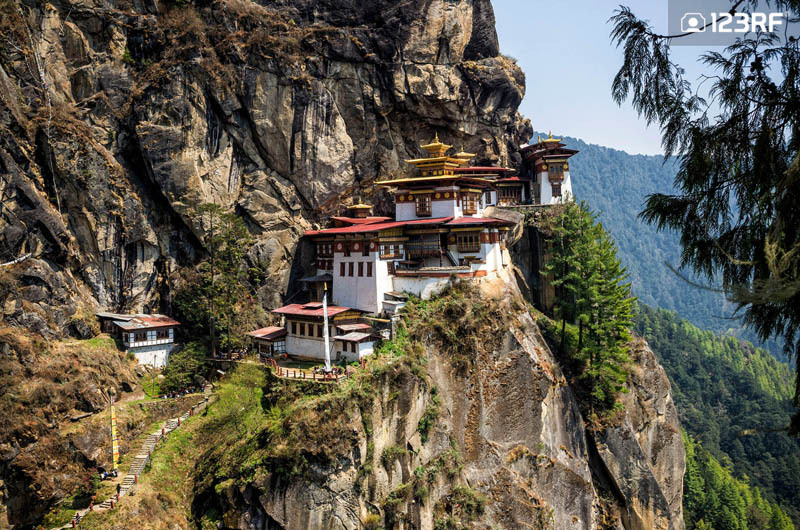 The gravity defying Taktsang Monastery, a.k.a Tiger’s Nest. Asia’s secret sanctuary is your go-to choice for ultimate peace and tranquility. Set amid the majestic Himalayas, Bhutan still remains traditional and remote. At times you feel as if you have this blessed nation all for yourself. Through years of isolation, Bhutan is now full of surprises. This is where the chilies are the main dish, rice is red and an entire shrine is dedicated to a tantric Buddhist saint. Chimi Lhakhang bears witness to this unconventional take on religion. With symbols of the male phallus on its walls, this is shrine that has evolved into a fertility pilgrimage for couples in need. However, the most iconic sight is none other than the gravity defying Tiger’s Nest. This over 300 year old monastery is situated on the edge of a cliff. Not for the faint hearted, you will need to trek for 90 minutes, while breathing thin mountain air, before having the privilege to witness this legendary site. On the other end of the spectrum, Bhutan also knows how to let its hair down. So be sure to make some time to check out the local nightlife, with a trip to Paro being the best of the bunch. In need of some luck? How about a dried llama fetus for prosperity from the amusing Witches Market. From the sky piercing heights of the Andes to the grounds of the Amazon basin, Bolivia is home to diverse landscapes and cultures. The 123RF World Travel Guide identifies La Paz as the nation’s most vibrant setting. Head over to Calle Jean and for the city’s best preserved colonial street. The refurbished 18th century buildings are now home to colorful boutiques, galleries and museums. 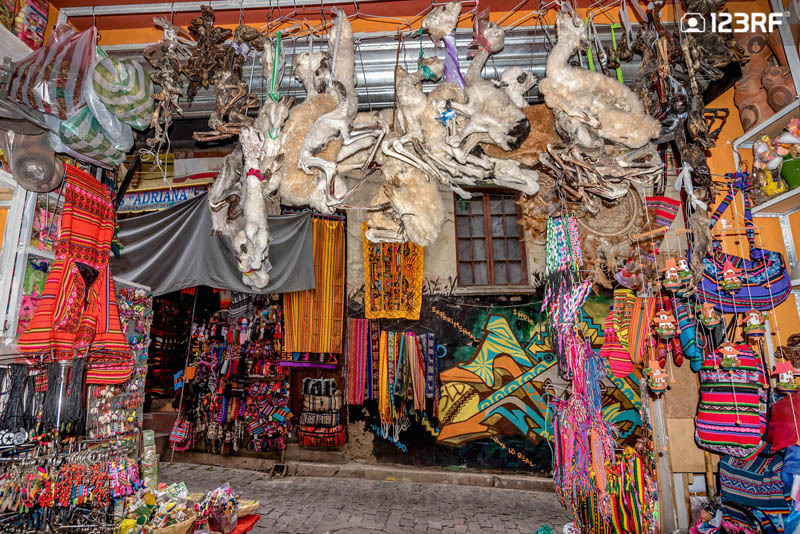 Additionally, venture deep into the depths of the Witches Market in Mercado de la Brujas and find yourself in awe of mysterious powders and potions of Andean shamanic practices. After that, head out to Lake Titicaca for a breathtaking view of this high altitude lake. Bolivia’s vast landscape can also be explored with a trip up north to Cordillera Apolobamba. Situated in the Peruvian border, this destination offers fantastic trekking opportunities in a secluded setting. Finally, end your trip on a high note as you make your way on the world’s most dangerous route, deep amid the clouds and into the heart of the Yungas forests. Next up on our 123RF World Travel Guide, join us as we uncover the stunning landscapes of Bosnia while sipping in some of the finest coffee in Burundi. Alternatively, catch up on our previous series which uncovered Armenia all the way to Bangladesh. Finally, visit our pinterest page for creative inspiration and be sure to check out more amazing stock images to satisfy your wanderlust cravings and breathe life to your travel stories for your blog, magazine or website!